If you’re shipping cargo To/From Central America or South America, AIR 7 SEAS is the best choice for all your shipping needs. We are specialized at door to door and LCL/FCL container shipping consolidation services. We can take care of all your shipping needs like door-to-door, door-to-port, port-to-door, ro-ro, container shipping services to and from Latin America. We can ship small packages and large items like motorcycles, cars, trucks, boats, yachts, heavy cargo... etc. 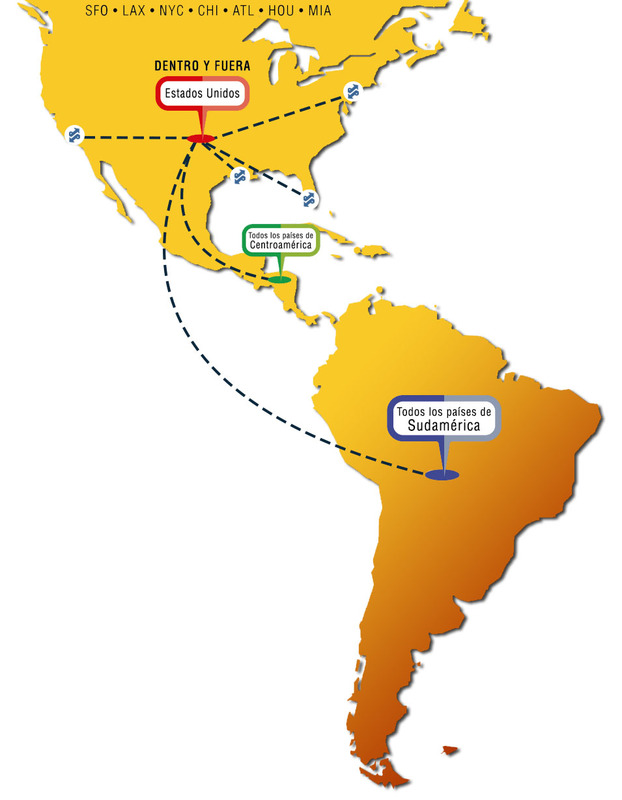 We ship to countries like Colombia, Peru, Dominican Republic, Puerto Rico, Costa Rica, Brazil, Venezuela, Guatemala, Panama...etc. Doing business with Latin America requires the right logistic experiment. AIR 7 SEAS knows the area, knows the culture can expedite your shipments more smoothly than anyone on earth. So ship with the company that specializes in Latin America.